The eukaryotic F1FO-ATP synthase/hydrolase activity is coupled to H+ translocation through the inner mitochondrial membrane. According to a recent model, two asymmetric H+ half-channels in the a subunit translate a transmembrane vertical H+ flux into the rotor rotation required for ATP synthesis/hydrolysis. Along the H+ pathway, conserved aminoacid residues, mainly glutamate, address H+ both in the downhill and uphill transmembrane movements to synthesize or hydrolyze ATP, respectively. Point mutations responsible for these aminoacid changes affect H+ transfer through the membrane and, as a cascade, result in mitochondrial dysfunctions and related pathologies. 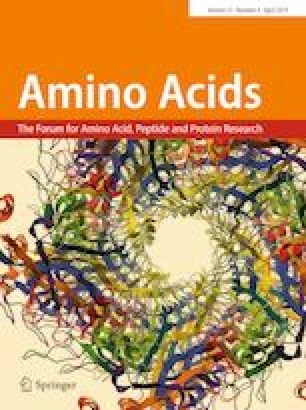 The involvement of specific aminoacid residues in driving H+ along their transmembrane pathway within a subunit, sustained by the literature and calculated data, leads to depict a model consistent with some mitochondrial disorders. Handaling Editor: S. W. Schaffer. Funding was provided by the University of Bologna, Italy. The manuscript complies with the ethical rules applicable for the journal and the research does not involve data regarding humans or animals.